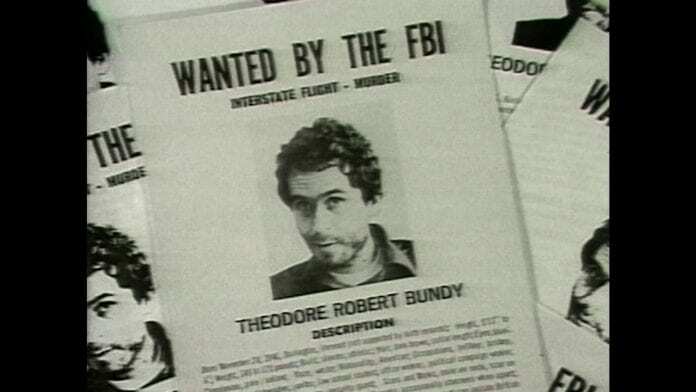 A generation was left reeling by the tragic, horrific crimes of serial killer Ted Bundy. Now, the so-called Netflix generation are being left fascinated and repulsed by the crimes committed by one of America’s most notorious murderers in a new documentary. ‘Conversations With A Killer’ explores several tapes recorded by two journalists in conversation with Ted Bundy in the 1970s, in the midst of his jail time for over 30 murders of young women across several US states. The documentary is a chilling exploration into the psychology of Bundy, at points almost seeming fictional given the reaction of the convicted killer. It’s an interesting insight into the mind of Bundy, who at points throughly managed to believe he was innocent in it all. In fact, the killer wouldn’t even discuss the murderers until journalist Stephen Machaud got the murderer to begin speaking in the third person. Listening to the law student discuss his bone-chilling crimes in such a blasé manner has to be heard to be believed. A particular stand out was when he went into great depth describing how ‘someone’ would commit a particular murder – describing exactly what he had done to one of his young victims. Details of his daughter and wife are glazed over in favour of describing the narcissism so deeply instilled in Bundy, of how he was evil at his core. Hearing testimony and interviews from police officers and other journalists intimately involved with the case was welcome, too, livening up the four-episode insight. A particularly poignant interview with Carol DeRonch, a woman who evaded capture from Bundy and indeed seemed to be the catalyst in the killer being caught, is almost worth watching for alone. She discusses the total lack of remorse he had, and how once she escaped he simply moved onto another victim in a scene perfectly edited to convey the coldblooded nature of the subject. Whilst not for the faint hearted, it’s a must-watch for anyone who has ever been intrigued as to the mind of a murderer. It explores every avenue of Bundy’s killer career, from his first kill up until his own chair in the electric chair. ‘Conversations With A Killer’ doesn’t attempt to humanise Bundy, which is a huge credit. Instead, it demonises the murderer further, if that was even possible. The four-episode documentary is available to stream now on Netflix. Next articleWhy not celebrate St Patrick’s Day in Malta this year?